Corrigendum: Senior Scientific Assistant (Serology Division). 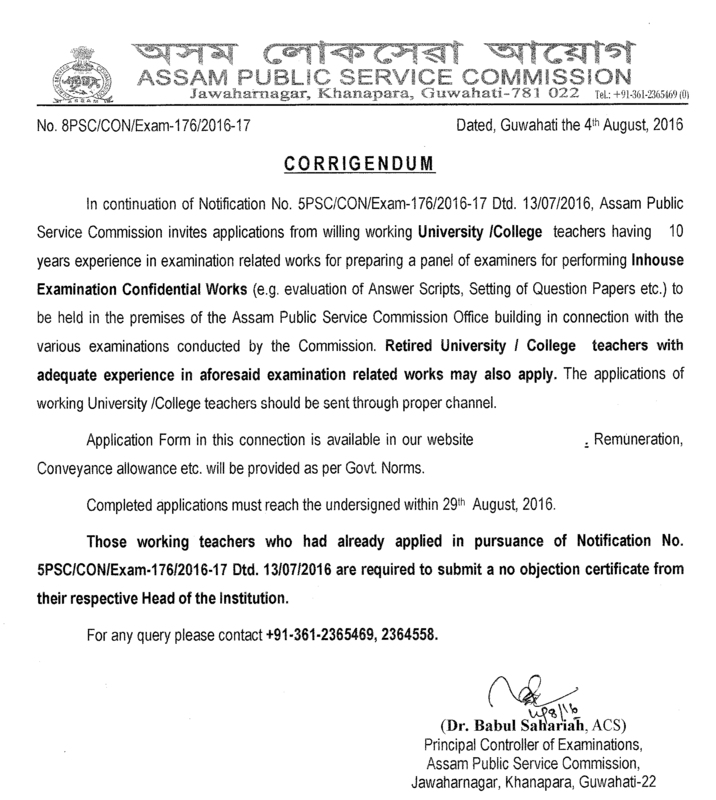 Corrigendum-II: Notice inviting tender for Supply, Installation and commissioning of LAN in the APSC building. Corrigendum-I: Notice inviting tender for Supply, Installation and commissioning of LAN in the APSC building. 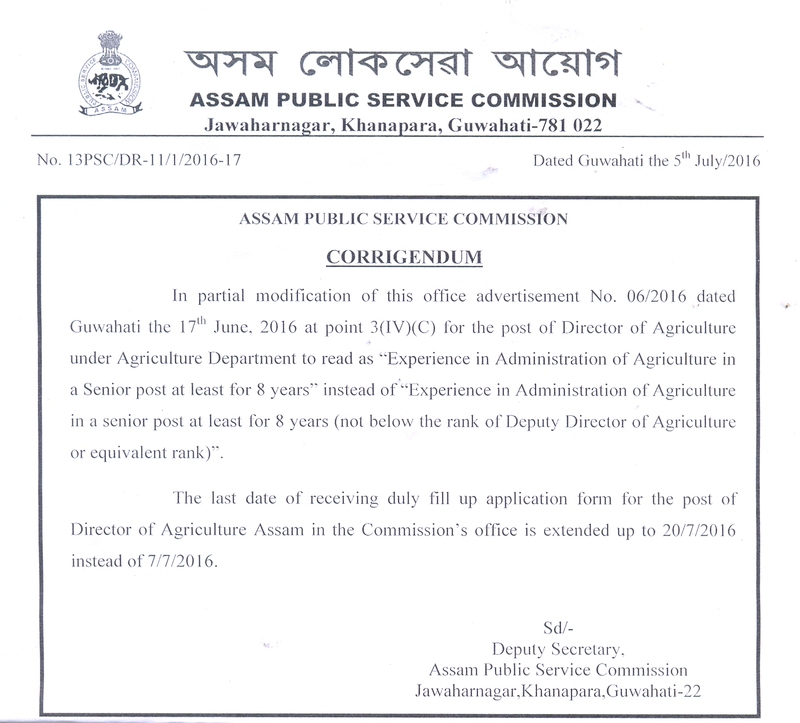 Corrigendum: Veterinary Officer/Block Veterinary Officer under A.H & Veterinary Deptt. 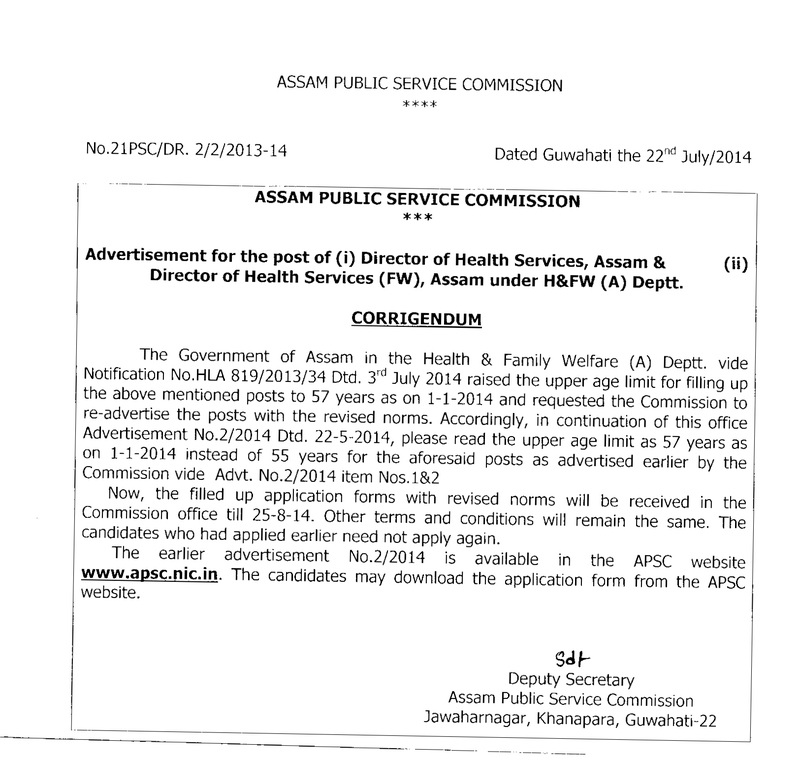 Corrigendum: Forest Ranger(Advt. No. 04/2018): Revised Application fees for BPL candidates.